Although used by an estimated ten million patients in Europe since the early 1960's, the therapeutic use of medical ozone and hydrogen peroxide (technically called "oxidative therapies" and popularly known as “oxygen therapies”) is largely a mystery to North Americans. Hailed as a safe, effective and low-cost treatment for a wide spectrum of diseases- including candida, cancer, heart problems and HIV-related infections- in Europe, proponents feel that they can go far in resolving America's health care crisis. However, physicians who have tried to utilize these therapies in this country (USA) are often harassed by local medical societies and threatened with loss of license. As a result, every year hundreds of patients have been forced to seek out physicians in Germany, Russia and even Cuba where these therapies are an accepted part of the medical mainstream. Others spend tens of thousands of dollars to receive bogus ozone cures from unlicensed practitioners here and abroad who ignore established protocols. Many end their lives in both poverty and despair. What is the truth behind oxidative therapies? Are they a panacea to our health-care crisis, or are ozone and hydrogen peroxide ineffective and even dangerous to health? And despite decades of clinical success, why are they considered "experimental" and not approved by the FDA? On the following pages, let's examine some of the major questions about oxidative therapies and their role in human health care picture. Q: Exactly what are oxidative therapies? A: Oxidative therapies involve administering small amounts of diluted ozone and hydrogen peroxide into the body for the prevention and treatment of disease. Ozone therapy has been used by licensed physicians in Germany since the early 1960's, while hydrogen peroxide therapy was developed in the United States primarily by the late C.H. Farr, M.D., founder of the International Bio-oxidative Research Foundation. Q: What is the scientific basis for oxidative therapies? A: The philosophy behind oxidative therapies is simple. The use of hydrogen peroxide and ozone in medicine is based on the belief that the accumulation of toxins in the body is normally burnt up by the process of oxidation, a process wherein a substance is changed chemically because of the effect of oxygen on it. Oxidation breaks the toxins down into carbon dioxide and water, and eliminates them from the body. However, if the oxygen system of the body is weak or deficient (whether through lack of exercise, environmental pollution, poor diet, smoking, or improper breathing), our bodies cannot eliminate them adequately and a toxic reaction can occur. In minor cases, a toxic buildup can lead to fatigue, while a wide range of diseases can result when poor oxygenation is chronic. A: Although few of us have ever heard of them, oxidative therapies have been around for a long time. They have been used clinically by European physicians for over a century, and were first reported by Dr. T.H. Oliver in the British medical publication The Lancet in 1920. Since that time, they have been studied in major medical research centers throughout the world, including Baylor University, Yale University, The University of California (Los Angeles) and Harvard University in the United States, as well as in medical schools and laboratories in Great Britain, Germany, Italy, Russia, Canada, Japan and Cuba. Today, between fifty and one hundred scientific articles are published each month about the chemical and biological effects of ozone and hydrogen peroxide. A: Oxygen therapies are used to provide the body with active forms of oxygen orally, intravenously or through the skin. Once in the body, the hydrogen peroxide or ozone breaks down into various oxygen subspecies which contact anaerobic viruses and microbes [i.e. viruses and microbes which have the ability to live without air], as well as diseased or deficient tissue cells. It oxidizes these cells while leaving the healthy cells alone. When the body becomes saturated with these special forms of oxygen, it reaches a state of purity wherein disease microorganisms are killed, while the underlying toxicity is oxidized and eliminated. Ozone and hydrogen peroxide are anti-virucidal. Ozone and hydrogen peroxide are anti-neoplastic, which means that they inhibit the growth of new tissues like tumors. They increase red blood cell membrane distensibility, thus enhancing their flexibility and effectiveness. Oxidative therapies increase the production of interferon and Tumor Necrosis Factor, which the body uses to fight infections and cancers. They accelerate the Citric Acid Cycle, which is the main cycle for the liberation of energy from sugars. This then stimulates basic metabolism. It also breaks down proteins, carbohydrates and fats to be used as energy. The most common form of hydrogen peroxide therapy used by doctors calls for small amounts of 30% reagent grade hydrogen peroxide added to purified water and administered as an intravenous drip. However, some individuals like to add a cup of 35% food grade hydrogen peroxide to a bathtub of warm water; the hydrogen peroxide is absorbed into the body through the skin while the person soaks in the tub. Others drink a glass of water to which several drops of food or reagent grade hydrogen peroxide have been added. Although there have been reports of improved health with this method, physicians believe that taking hydrogen peroxide orally can have a corrosive effect on the stomach and small intestine and advise against using it. A: Ozone (O3) is an energized form of oxygen with extra electrons. It forms the protective ozone layer around the planet, yet becomes a pollutant when mixed with hydrocarbons (like carbon dioxide) and nitrogen oxide from automobile and factory emissions. Because scientists have focussed on the negative effects of inhaled ozone, the medicinal aspects of the gas when applied intravenously or through the skin have been largely overlooked. Because ozone was found to be an effective bactericide and fungicide during the mid-1800's, it was first used to purify drinking water in a number of European cities. Today, over 2000 municipalities around the world- including Montreal, Paris, Los Angeles and Moscow- purify their drinking water with ozone. However, ozone was not used medically until 1915, when it was found to be an effective disinfectant of wounds and skin diseases in Germany during the First World War. It was later found that ozone has the ability to "blast" holes through the membranes of viruses, yeast, bacteria and abnormal tissue cells and therefore killing them. Autohemotherapy, which involves removing about one half pint of blood from the patient, adding ozone and oxygen to the blood, and infusing the blood back to the patient. Rectal insufflation, in which ozone and oxygen is administered as a rectal enema. The ozone/oxygen mixture is then absorbed through the large intestine. The steam cabinet method involves placing the patient in a steam cabinet and pumping an oxygen and ozone mixture into the cabinet. The theory behind this method is that the mixture will react with the surface of the skin and the oxygen and ozone-reactive products will be absorbed and eventually find their way into the bloodstream. Ozone bagging, which involves having an airtight bag placed around the area to be treated. A related method involves ozone cupping, which calls for an airtight glass cup. Like the steam cabinet method described above, a mixture of ozone and oxygen is pumped into the bag (or the cup) and reacts with the skin. Ozone is also used externally in the form of ozonated olive or sunflower oil. Q: Exactly how does ozone work in the body? A: We mentioned before that ozone is a form of superactive oxygen. When it comes in contact with blood inside an ozone-resistant glass bottle ex vivo (that is the preparative phase of autohemotherapy), it immediately reacts with blood plasma and other body fluids, such as those found in the skin and the mucous membranes, thus generating a number of chemical “messengers” like antioxidants and polyunsaturated fatty acids. The ROS are believed to be responsible for immediate negative biological effects, such as free radical production. However, within a few seconds and the oxidized antioxidants are recycled back in reduced form, leading to more positive biological effects. Over the longer term, the ROS target the erythrocytes (red blood cells containing hemoglobin whose main job is to transport oxygen), resulting in improved oxygen delivery to the body; the leukocytes (blood cells whose main job is to engulf and digest bacterial and fungi), thus stimulating immune system activation; and the blood platelets, which stimulate the release of growth factors, which are substances made by the body that regulate cell division and cell survival. The biological effects of their “partner” LOPS are both positive and more long-term. Through the continual circulation of blood, LOPS can reach virtually any organ of the body, and stimulate important biological functions like the generation of cells with improved biochemical characteristics (“supergifted erythrocytes” with the ability to deliver more oxygen to ischemic tissues) and the upregulation of antioxidant enzymes in the blood. Antioxidant enzymes have been found to neutralize oxidative stress, perhaps explaining some of the extraordinary clinical results of ozone therapy. Researchers like Velio Bocci, M.D. of the University of Siena in Italy also believe that LOPS can mobilize endogenous stem cells [stem cells already inside the body], which can promote regeneration of ischemic heart tissue (tissues of the body damaged by heart disease) and other tissues. Q: What types of diseases can be treated with ozone and hydrogen peroxide? A: There is evidence that ozone (as well as hydrogen peroxide, since ozone becomes transformed into hydrogen peroxide in the body) can destroy lipid-enveloped viruses both outside and within the body, including those related to hepatitis, Epstein-Barr, cancer, herpes, cytomegalovirus and HIV. The results of a study coordinated by the Canadian Armed Forces and published in the Canadian Medical Association Journal showed that ozone kills HIV, the hepatitis and herpes viruses, and other harmful agents in the blood used for transfusion. The author of the article added, "The systemic use of ozone in the treatment of AIDS could not only reduce the virus load, but also possibly revitalize the immune system." Although a related study on AIDS patients proved inconclusive, Cmdr. Michael Shannon, MD, one of the coordinators of the study, wrote that "Of interest, however, the three patients (out of ten volunteers) who responded to minor autohemotherapy in the first trial, are still alive after four years post treatment, with CD4 counts in excess of two hundred. These patients should have theoretically succumbed to AIDS within a year post-treatment." In several clinics in Germany, AIDS patients have been treated successfully with different types of ozone therapies, including rectal insufflation, ozone bagging, and autohemotherapy. Oxygen therapies can be an important part of holistic treatment for HIV-related problems, including lower T-cell counts, opportunistic infections, and AIDS-related diarrhea. Dan's was one such case. He was diagnosed HIV-positive and his T-cell count had dropped below 600. After only one month of ozone therapy as part of a protocol including vitamin supplements, anti-viral compounds and intestinal cleansing, his T-cell count rose to 900 and his swollen lymph nodes shrank for the first time in years. Although there have been other cases of improvement of AIDS patients after regular ozone treatments (and several documented cases of people who were HIV+ reverting to HIV- status) ozone and hydrogen peroxide should not be considered as a "magic bullet" against HIV and AIDS. Dr. Frank Shallenberger wrote:"Ozone therapy works in AIDS by acting as a an immune system modulator. In this capacity, it is very effective, safe, inexpensive and readily available. Proper therapy for AIDS will be directed at early intervention (i.e. CD4 count > 300), ozone plus other synergistic immune-augmented therapy, intestinal cleansing is paramount due to the immuno-suppressive aspect of parasites." Dr. Silvia Menéndez, the co-founder and Director of Research at Cuba's Ozone Research Center (part of the prestigious National Center for Scientific Research) in Havana, suggested that ozone works best when administered as soon as possible after HIV infection, before the virus has penetrated the lymphatic system and bone marrow. The personal, economic and social ramifications of this possibility cannot be underestimated. A: Although ozone and hydrogen peroxide are highly toxic in their purified state, they have been found to be both safe and effective when diluted to therapeutic levels for medical use. When administered in prescribed amounts by a qualified practitioner, the chances of experiencing adverse reactions to oxidative therapies are extremely small. For example, a German study on 384,775 patients evaluating the adverse side effects of over five million medically-administered ozone treatments found that the rate of adverse side effects was only 0.0007 per application. The main cases of "adverse effects" were due to the use of direct intravenous ozone injection, which is now illegal in Germany and other European countries. While it is essential that ozone is administered under established protocols by a qualified practitioner, adverse side effects from ozone therapy is far lower than any other type of medical therapy. It has been estimated that over ten million people (primarily in Germany, Russia and Cuba) have been given oxidative therapies over the past seventy years to treat over fifty different diseases. As cited before, they include heart and blood vessel diseases, diseases of the lungs, infectious diseases, and immune-related disorders. In some cases, bio-oxidative therapies are administered alone, while in others, they are used in addition to traditional medical procedures (such as surgery or chemotherapy) or as adjuncts to alternative health practices like megavitamin therapy, acupuncture or herbal medicine. A: Despite the fact that both ozone and hydrogen peroxide therapy have been proven in clinical trials (and in regular clinical practice) to be safe and effective in Germany, Austria, Cuba, Mexico, Italy and Russia, very few people have heard about bio-oxidative therapies in the United States and Canada. Although an estimated 15,000 European practitioners legally use oxidative therapies in their practices, the number of physicians using these therapies in North America is probably fewer than 300. This is partly due to the fact that information about medical ozone and hydrogen peroxide is not provided in medical schools, and students simply do not learn about them. In addition, the medical establishment (and especially provincial and state medical boards) often discourages or prevents licensed physicians from using them in their medical practice. Some, like the late Robert Atkins, M.D., the author of the popular book Dr. Atkins' Diet Revolution, have been threatened with having their licenses revoked if they administer hydrogen peroxide or ozone. Clinics have been closed down and practitioners have been threatened with jail. A: A major reason for this lack of interest in bio-oxidative therapies is that ozone and hydrogen peroxide are non-patentable substances that are very inexpensive to manufacture and use. In Germany, Russia and Cuba, physicians have successfully treated many serious and chronic conditions (including cancer and heart disease) without expensive surgery. The net cost of the materials for a treatment of autohemotherapy or a medical infusion of hydrogen peroxide is under $10. Even though physicians must include professional fees and the use of their offices and equipment, bio-oxidative therapies administered in a medical setting cost up to fifty percent less than traditional therapies, especially for patients suffering from chronic and degenerative diseases. Self-administered treatments by patients themselves, while not recommended, can cost far less. For these reasons, ozone and hydrogen peroxide pose a threat to the continued dominance of the medical establishment: the pharmaceutical industry, medical centers and physicians who are accustomed to providing expensive drugs, complex medical procedures and long hospital stays. A: Because government health agencies are often influenced by the pharmaceutical industry and medical lobbies, objective investigation and development of effective protocols for bio-oxidative therapies have been difficult to undertake. However, the Canadian government has shown a greater willingness to investigate these therapies than American government agencies like the FDA or NIH, as shown by the HIV studies cited earlier. However, the media has largely ignored the important findings that ozone can completely remove HIV, hepatitis and herpes viruses from the blood supply. Q: What is the future of oxygen therapies? A: After reviewing the laboratory and clinical evidence regarding the use of ozone and hydrogen peroxide, a recent report by the National Institutes of Health (NIH) on Alternative Medical Systems and Practices in the United States, has recommended that "definitive studies be undertaken to determine whether these treatments have any utility". At the same time, a number of states- including Alaska, Colorado, Georgia, Massachusetts, New York, North Carolina, Ohio, Oklahoma, Oregon, Texas, and Washington- have passed "freedom of medicine" laws which allow the use of experimental therapies by licensed practitioners. Many physicians from both Canada and the United States are sharing their clinical data with the goal of presenting their findings to government agencies like the NIH and FDA. Medical ozone and hydrogen peroxide form the "cutting edge" of a new healing paradigm, involving safe, effective, natural and less costly forms of medical therapy. As more people discover the value of these therapies, there will be greater consumer demand. 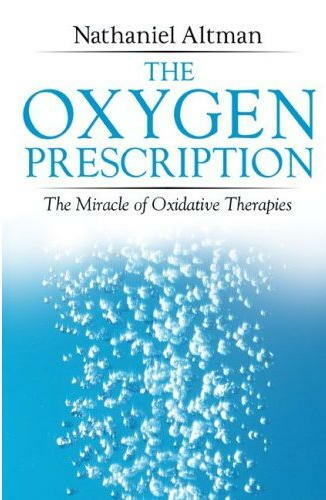 Because oxidative therapies like hydrogen peroxide and ozone hold great promise in treating both minor health problems and some of the most devastating diseases confronting humanity today, including cardiovascular disease, cancer, and HIV-related problems at low cost, they can help solve our national health care crisis. As more physicians become acquainted with the value of these therapies, they will become a valuable part of mainstream medical practice. Oliver, T.H. and Murphy, D.V., "Influenzal Pneumonia: The Intravenous Use of Hydrogen Peroxide", The Lancet, February 21, 1920, pp. 432-3. Shallenberger, Frank, "Intravenous Ozone Therapy in HIV-related Disease" Proceedings: Fourth International Bio-Oxidative Medicine Conference, April 1993. Farr, Charles H., letter to the author, February 4, 1994. Bocci, Velio, Ozone – A New Medical Drug (Dordrecht, Netherlands: Springer, 2005), 22-24, 27, 28. Shallenberger, Frank, letter to the author, December 9, 1993. Shannon, Michael, letter to the author, 21 January, 1994. Carpendale, M.T., Interview in Ozone and the Politics of Medicine (Vancouver, Threshold Film, 1993). Alive! Canadian Journal of Health and Nutrition in 1996.
copyright © 1996, 2008 by Nathaniel Altman. All rights reserved.